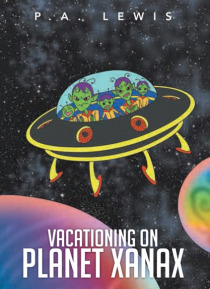 Vacationing on Planet Xanax: Vacationing on Planet Xanax is the story of P.A. Lewiss evolving relationship with her dysfunctional parents and immediate family members. Beginning in early childhood, Lewis catalogs pivotal events and moments that resulted in epiphanies and sometimes painful learning experiences. Vacationing on Planet Xanax will have you rolling with laughter at some points, and c… rying with sadness at others.